Arbitrary tax confiscation makes saving and investing a bit of a balancing act sometimes. If you make any money above and beyond what various persons in government publicly decide is “more than they think absolutely necessary” you will pay taxes. Basically, they will tax you on anything they think they can get away with, and unfortunately they often change the rules about this. Still, there are some concepts that don’t change and it will help you with your stock market investment strategies if you are aware of them. 1. Be careful to document the original cost basis of any investment. That means what you paid for a given stock, whether it be 5 or 500 shares, plus any commission and fees. All of these things combined equal your cost basis in the investment. 2. If you buy the same stock in multiple lots, keep track of those. A lot is any given set of one stock at a certain price. For instance, you may buy 10 shares of a stock at $25 each, then decide you have more money to invest and it is a good time to buy more of the same, even if the price has gone up to $27 per share. If you later sell 10 shares at $30 per share, you will need to report it on your tax forms as first-in-first-out, thus you will be taxed on the profit of $5 per share. 3. For the reasons given in the previous point, it is usually simplest to sell lots of stock in the same sizes as they were purchased. 4. Don’t count on your brokerage account company to keep track of your cost basis for you. A brokerage company is a business, such as Scottrade or Charles Schwab, that handles your buying and selling since you cannot personally be on the trading floor. You might end up switching to a different company and the information about the cost basis is often not passed on, the new brokerage being most concerned with the actual value of your account at the time it is transferred to them. So, keep track of your cost basis with your own records. 5. Stock shares “split” or even recombine sometimes. This will alter the number of stocks you own and the current price per share, but not the cost basis. When it comes time to be doing your calculating, don’t let this confuse you. 6. Capital gains is the term used to describe any profit made from the sale of stocks owned. If you sell stocks you have owned less than a year, the tax is usually at a higher rate than if the stock is owned more than a year before sale. Exact rates of all taxes tend to change with the political winds, so you will have to check this to know how big of a difference it is. Of course, if there are compelling reasons to sell, you might need to do it anyway, but most of the time, you will have found a company of good value and be able to hold it for at least a year. 7. Dividends are payments made by some companies to share holders, so are always considered profit, even if you sell the stock at a loss at a later date. Thus, you will always be taxed on dividends. Click here to read more about what dividends are and how to understand the terms used to talk about them. 8. 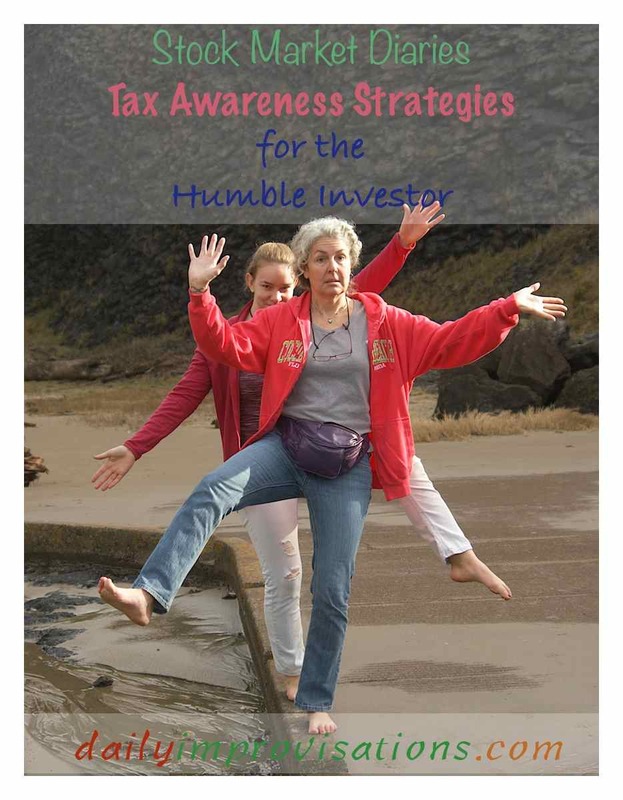 There are tax sheltered accounts, which means that you can buy, sell, and receive dividends WITHOUT taxation UNTIL you remove those assets from said account. You might remove funds for a need before retirement, in which case there is usually an additional tax penalty. This means you have less flexibility with your money. You will be required to withdraw a regular minimum amount after a certain age that the government designates, when there will also be taxes to pay. There are rules about what you are allowed and not allowed to do in such an account. There are also restrictions about how much can be invested in such an account and who is eligible to use such accounts. Laws about such accounts are known to change at the whims of politicians, but, then, so do all tax laws. 9. Any stock that is part of compensation from an employer is taxed, but exactly how depends on the details. If ownership is awarded outright, it is taxed right then at its value on the current stock market. Sometimes an employer will give the option to buy stocks at a certain price, but you will probably want to sell those as soon as you buy them because of a law that lets the government tax on an increase in value of the shares of stock even though you haven’t sold it. Even if you sell at a loss later, they get the tax on this phantom value that was never money in your pocket. 10. If you do end up selling some shares of stock at a loss, meaning you sell them for less money than you paid for them, you may be able to deduct that loss from taxes owed on other stocks that you made money on, if you don’t make more money than the government deems acceptable. It can be very frustrating to try to manage your money and invest it well, only to see large chunks of it confiscated by self-proclaimed forces that have the power to make you turn it over. Not much different than the Mafia as far as I can tell. Still, my husband says it is better to make some money than none at all, so we will do the best we can under the circumstances. Now that I understand the tax implications, I can be taxed as little as possible.